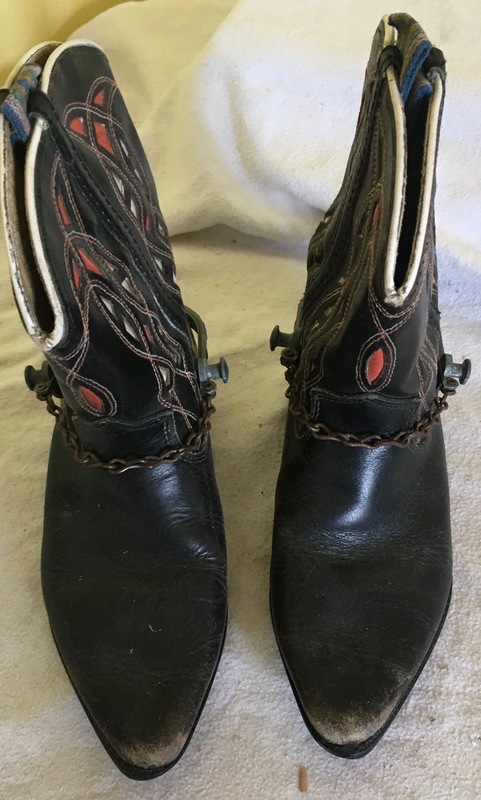 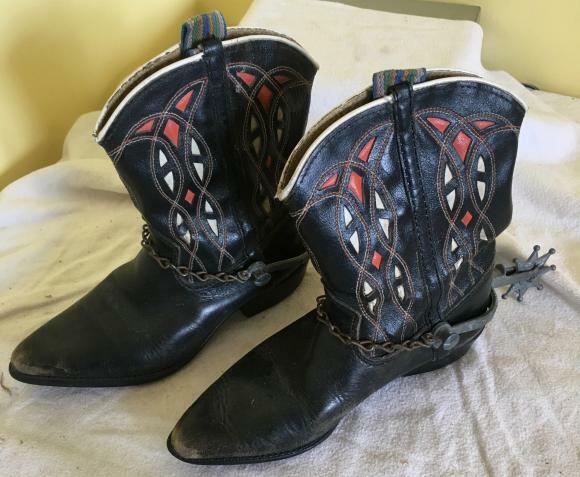 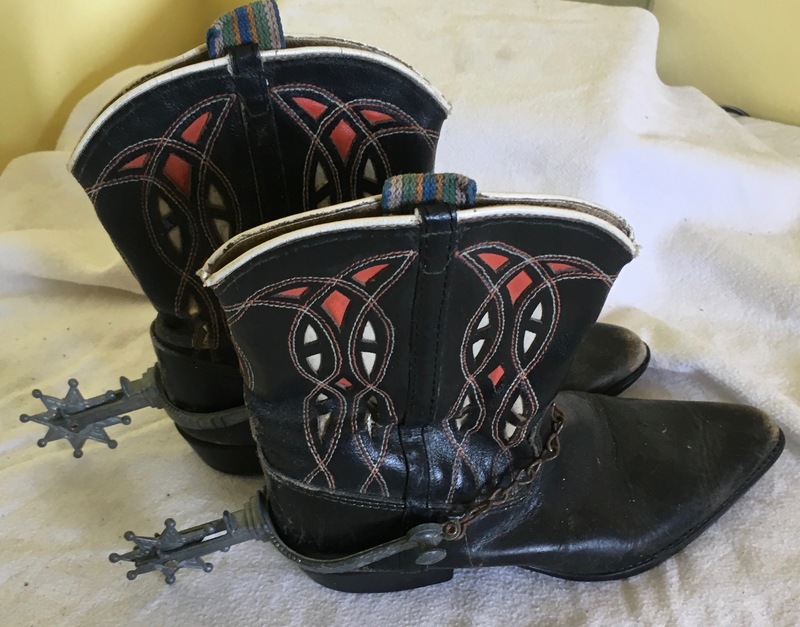 Please note that this pair of vintage leather cowboy boots are for a child ! 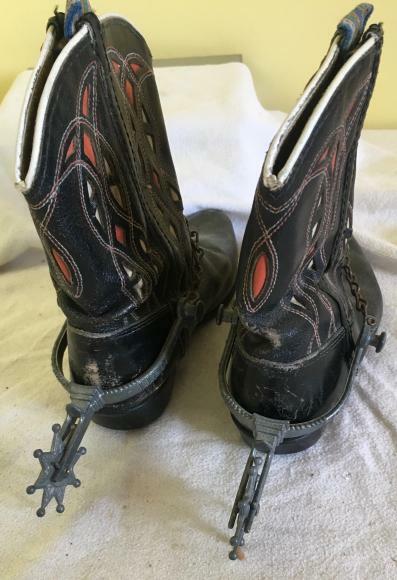 Probably size 2 or 3 I guess. It excellent condition and come with their spurs.